Traditional Handcrafting | Tlusty & Co. In the Tlusty & Co. workshop nearly all of our production processes are completed using the hands of our in-house artisans. 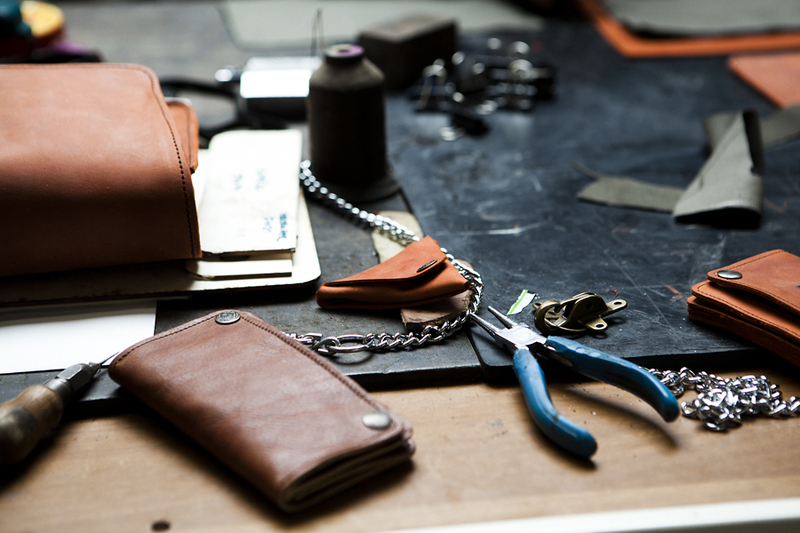 We use traditional leatherworking techniques, passed down through generations, to create tailored leather goods of the highest quality. Every Tlusty product must pass through several hands, just as if it were created 100 years ago. In our workshop, you won't find any automated machines, nor are there any conveyor belts or robots. Our sewing and cutting machines are classics from the mid 20th century and even earlier. The oldest machine in our workshop is a Kaiser bookbinding press from 1870! Everything is sewn on Minerva "Made in Czechoslovakia" sewing machines dating from the 1950s and the 1970s. We are very proud to have saved machines from the Bata factories that date back to the 1930s. Many of our machines were bought from bankrupted factories, lovingly repaired, then returned to service. In some cases, we returned these machines to the hands of the people who had worked with them dozens of years earlier.